(AKA Striking Back) 1979, Starring Perry King, George Kennedy, Tisa Farrow, Don Stroud. Directed by William Fruet. The psychological effects of the Vietnam "conflict" have been featured prominently in several Canadian films, all the way back to the 1969's Explosion, a Julian Roffman produced effort about murderous draft dodgers. Bob Clark's Deathdream also features a crazed ex-soldier in the clutches of bloodlust, who returns home to kill his family and friends. 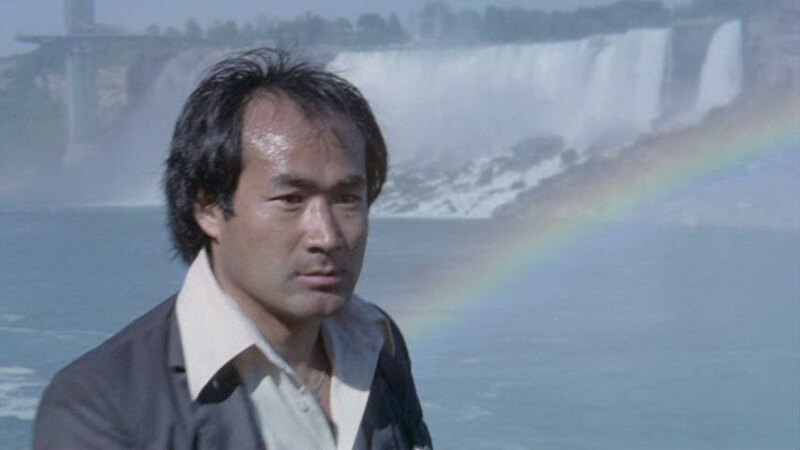 In Search and Destroy, noted Canadian director William Fruet's third film, revenge from the dirty days of Vietnam is still presented as a viable reason to go on a killing spree, but this time it all takes place among the bright lights of modern day Niagara Falls. 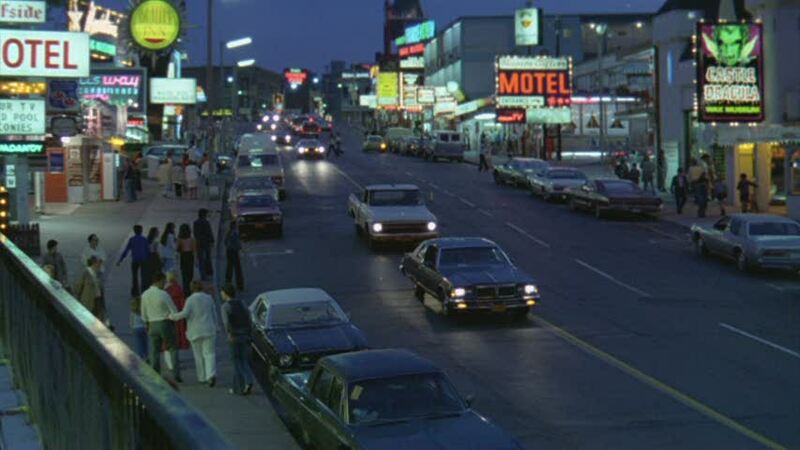 Although he began his career working on more " respectable" Canadian films like Wedding in White and Goin' Down the Road, William Fruet's involvement with Ivan Reitman in the mid-1970s changed his focus to more commercial fare. This led to Fruet's 1976 classic Death Weekend, in which character actor Don Stroud chewed the scenery as a vile hoodlum. 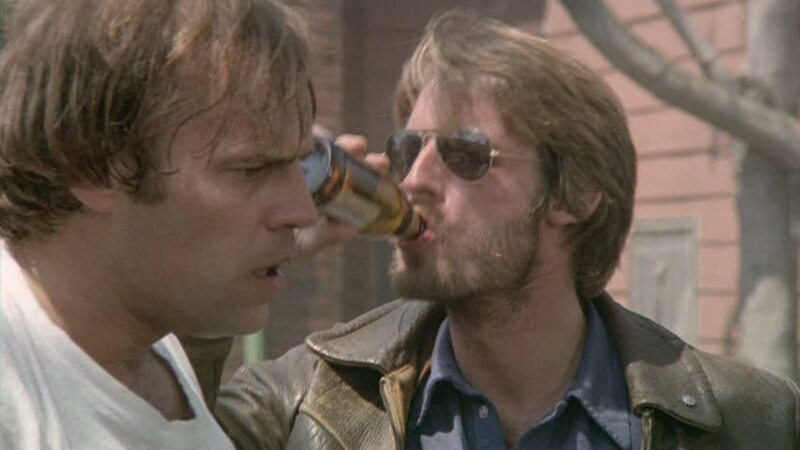 But in Search and Destroy, Stroud returns to the side of good as Buddy, a white trash Nam vet teamed up with Kip (fellow American import Perry King) to solve the mysterious deaths of their army buddies. With a brief prologue in Vietnam we are introduced to our major players. RJ, Buddy, Roosevelt, and Kip are all part of the same unit being led through the humid jungles by a Vietnamese guide named Nguyen. Fruet, who never wastes time in grabbing his audience by the throat, suddenly takes us to present-day LA just in time to see Roosevelt, now working as a janitor, killed by a shadowy figure only identified by a characteristic fingerless glove on one hand. Next stop, Niagara Falls. Two boys walking along a river bed discover a car crashed into the river, with a man slumped over the wheel. Kip gets a call saying that his friend RJ has been shot, and he goes down to the river bed to see what happened. There he meets a detective played by George Kennedy, who asks Kip about his relationship with RJ. 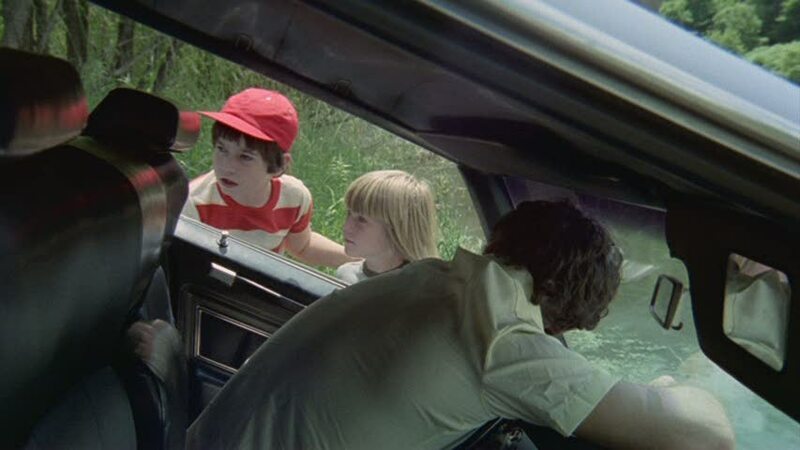 After helping the police all he can, Kip picks up Buddy, his last remaining army buddy, and they drive around town trying to get some answers about the mysterious death. Unbeknownst to them, a car slowly follows them around, driven by the man with the glove. Finally, the camera pulls back to reveal that the stalker is none other than Nguyen, who carefully loads his gun before resuming the chase. Buddy and Kip discuss things at a local country bar, where they are met by Kip's girlfriend Kate. Buddy leaves to got to work on the famous Niagara Falls tour boat The Maid of the Mist, and asks Kate and Kip if they wouldn't like a free ride. When the boat returns to shore, Nguyen appears and tries to shoot Kip, but the bullet just grazes his forehead. Unfazed, Nguyen gives chase to Buddy through one of the Niagara Falls power stations, and they end up on the rooftop in a karate match. Fruet effectively shoots the fight with alarming close-ups, emphasizing the brutality of the violence. Despite his own skills in martial arts, Buddy is easily outmatched and is left unconscious when the police arrive. That night, Kate asks Kip why Nguyen is trying to kill the soldiers that once protected and escorted him. He explains how they lost him one night, and he was captured by the enemy. Now presumably, he wants his revenge. Hospitalized Buddy reveals that he will be forever paralyzed by his injuries and gives Kip a "Do it for Buddy" speech. He also tells Kip to help himself to a machine gun in his trailer. Despite a massive police crack down, Nguyen easily kidnaps Kate and demands a face-to-face meeting with the sole remaining vet at an abandoned warehouse. Kip agrees, but the action quickly spills out to Clifton Hill, the gaudy tourist area of Niagara Falls littered with haunted houses and wax museums. We see that Nguyen has no qualms about shooting innocent bystanders standing in line at the Ripley's Believe it or Not exhibits in an attempt to kill Kip. Finally, the chase ends in a forest close to the Falls which we are supposed to believe parallels Vietnam's forsaken jungle hell. Each man silently waits for his chance to strike, and the game of patience lasts clear through until the next morning when Nguyen stealthily tries to get the drop on his adversary. As Nguyen and Kip race across the city, Search and Destroy treats us to a complete tour of all the major attractions of Niagara Falls: the people mover, the Maid of the Mist, Clifton Hill, the Skylon tower, and of course the Falls themselves. Much of the action is supposed to take place on the American side of the falls, but not much effort goes into disguising the fact that every famous tourist spot is undoubtedly Canadian. Think of Search and Destroy as the Mystery of the Million Dollar Hockey Puck for grown-ups-- an action film that often feels like it was made by Tourism Canada. 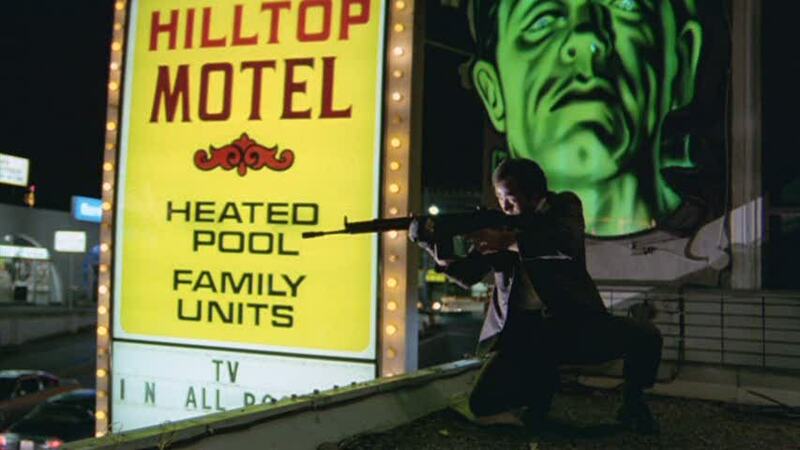 Of course, showing a killer running around with a machine gun won't convince many that this is a great vacation spot. While this film builds on Fruet's Death Weekend, Search and Destroy remains a less enjoyable film. The reluctant hero mentality seen in almost all of the Canadian "rural revenge" films is present, but as a villain, Nguyen is simply not as effective as the bumpkins in the other Canadian entries of this genre. In Death Weekend and Trapped, Fruet's true rural revenge films, the antagonists are both fearsome and loathsome characters who inflict real terror through bullying their victims into situations they can't control. Nguyen is an outsider, and this changes the whole dynamic of the interior menace found in most of these films. Regrettably, this occidental "protect-the-homefront" mentality smacks much more of American action films than Canadian ones. 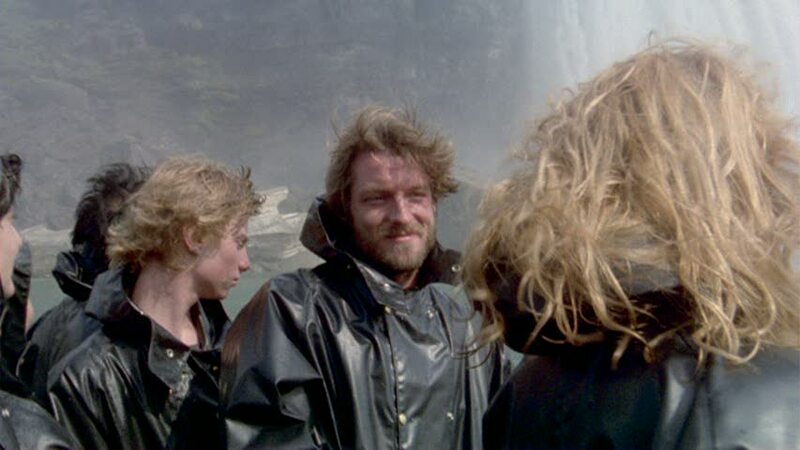 While Search and Destroy does have moments of interest, it ultimately fails as an example of the grand tradition of Canadian revenge cinema.